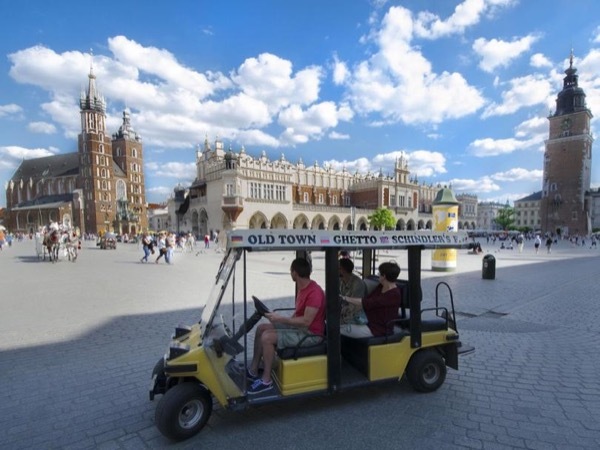 Traveler Reviews for Private Tour in Krakow, Poland by Tour Guide Barbara W.
About Barbara W. Message Barbara W.
Barbara's tour by golf cart was one of the best. We were able to cover a lot of geography in the golf cart and Barbara's knowledge of Krakow and its history was excellent. She was especially interesting talking about making the movie "Schindler's List". Her love of Krakow, her home town, came through loud and clear. Our group of four would all give her the highest recommendation. She's terrific. Without a doubt, this was the best tour we had during our two weeks of touring. Barbara was considerate, kind, observant, gracious and genuinely lovely in her conduct. Beyond that, she was extremely knowledgeable, dynamic, very interesting and a truly amazing guide. We learned a lot and so appreciate the information she provided and the manner in which she delivered it. Thank you Barbara, you were truly brilliant and we are very grateful. Very nice tour. Saw highlights in a very unique way. I highly recommend this tour. Friendly, easily understood, knowledgeable, adaptable, made it a very enjoyable tour. Barbara provided a great tour of the city with a golf cart. This was our second tour with Barbara. She knows the city well and customized our tour to our liking. A great tour to start in Krakow! We chose this tour because my mother has some problems walking distances, but it would be a good option for anyone who wants to get an overview of Krakow. Barbara is informative and personable, and it is clear she loves Krakow, and wants everyone to enjoy visiting her home city! The day we took the tour was cold and rainy, but Barbara and our driver, Michael, were unfailingly upbeat - we didn't mind the weather at all. I would absolutely recommend Barbara and this tour!